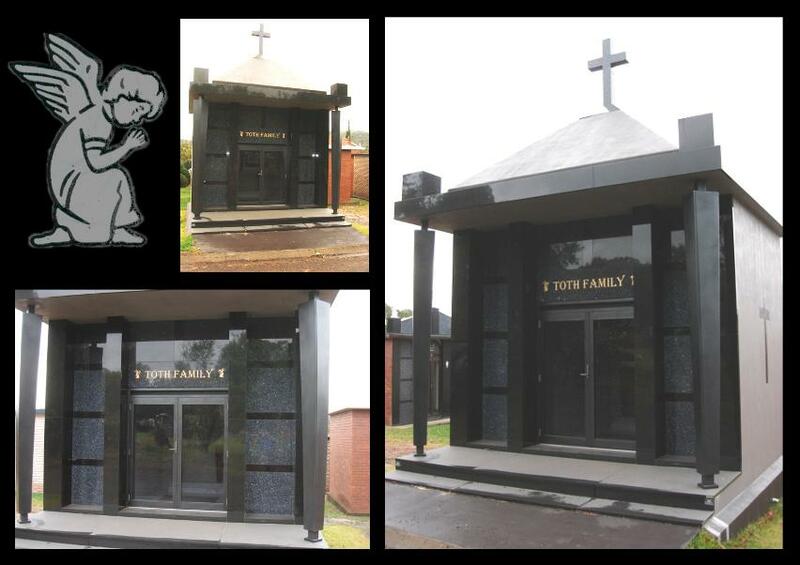 Granite for Family Vault supplied and installed by J.H. Wagner & Sons. Supply and installation of Blue Pearl granite and Black granite facings to facade and columns, step treads and risers. Gold incised letters for family name on Blue Pearl granite lintol facing with 2 gold Angel traceries. Granite Cross and facings to apex top.